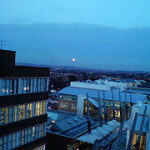 The Communication and Media Research Institute (CAMRI) based in the School of Media, Arts and Design at the University of Westminster, rated the UK’s top research centre for Media and Communication in the 2008 Research Assessment Exercise is currently offering scholarships for doctoral study. Awards cover tuition fees plus a tax-free stipend of £15,000 pa and commence in October 2009. There are two pathways to apply for a scholarship at CAMRI, so please read the following carefully. Pathway one is for applications for topics specified by the University, pathway two for topics suggested by the applicant. If you need further information about how to apply, please contact studentships@westminster.ac.uk. Completed forms to be returned to studentships@westminster.ac.uk by the closing date of 5pm on Tuesday 3 March 2009. Late applications will not be considered. The Communication and Media Research Institute (CAMRI) has an international reputation in media policy and economics, media history and media audiences. The Institute hosts the University’s China Media Centre and Arab Media Centre. It is developing work in media audiences and identities, new media, and Indian and African media. We currently have an opportunity for two students to undertake an MPhil/PhD in media and communication on a subject of their choice. To receive an application pack and further details of the scholarships, please contact Erica Spindler (e.spindler@wmin.ac.uk). You should specify that you wish to apply for a CAMRI Scholarship. Closing date for receipt of applications: Tuesday 10 March 2009. Interviews will be held in March and early April. Prospective students wishing to discuss an application informally may contact Dr Anthony McNicholas (mcnichc@wmin.ac.uk). This project encourages applicants to draw attention to the burgeoning new media and Citizen journalism (CJ) in the fast changing Chinese society. CJ along with its various forms, such as ‘personal journalism’, ‘citizen-produced coverage’, ‘participatory journalism’, ‘grassroots journalism’, ‘blogging’ and ‘self-publishing’, are playing a significant role in challenging the current media supervision system, expressing Chinese nationalist sentiments, seeking social justice and changing the way in which Chinese younger generations to get to know the outside world. An up-to-date study of CJ is essential in order to have a better understanding of the relationship between media and social change in the most populous and fast industrializing country. Potential applications are encouraged but not limited to discussions of the relationship between CJ and traditional investigative journalism in relation to social justice and democratisation. This project will extend the China Media Centre’s leading role in researching the relationship between media and social change in China to include the burgeoning area of new media and Citizen Journalism, drawing attention to the impact of Web 2.0 technology on communications in the world’s most populous country. New forms of journalism, variously termed ‘citizen’, ‘personal’, ‘participatory’, ‘self-publishing’ and ‘blogging’ but here referred to as CJ are beginning to play a significant role in challenging government censorship, expressing Chinese nationalist sentiment, seeking social justice and changing the way in which young people are encountering the outside world. 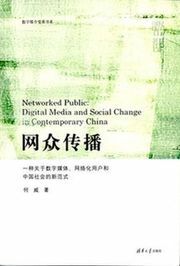 This research topic is particularly important now, when in response to widespread social, economic and political discontent and in the aftermath of the Beijing Olympics, the Communist party has re-tightened its control over traditional media, leaving little space for television and newspaper journalists to pursue investigations unhindered. This study will focus in particular on social issue blogs run by non-journalists/professionals. How do CJ and investigative journalism interact with each other during the process of investigations? To what extent do investigative journalists rely on blogs for news sources? To what extent do blogs rely on professional investigations for stimulating further debate around a certain issue? To what extent have blogs changed the way in which professional journalists investigate social problems? What is the impact of the rise of CJ on social justice in China? What is the impact of the rise of CJ on the process of democratisation in China? The page where the Project 2 once located was removed. Is it still available? I have no idea. However I connected the webpage and downloaded the pdf file of the project 2 after I read your comment. Why not try again? By the way, you could also write to Dr. Xin Xin for details. The resource you are looking for is not available.